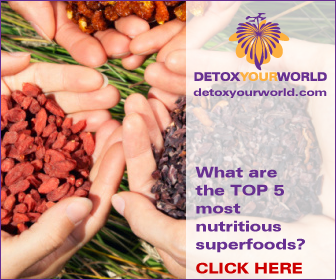 According to the wonderful Detox Your World, purple corn comes from Peru usually. It’s an ancient crop which has been found in archeological sites from as long ago as 2500 years. Importantly this stuff really is a superfood good guy. Of special interest is the high anthocyanin content in purple corn. In fact, purple corn has a similar (or higher) level of anthocyanins as blueberries but “higher antioxidant capacity and antiradical kinetics”. In addition, it also contains substantial amounts of phenolics. All in all, purple corn rocks. Many plants are packed with phytochemical good guys. This is why many vegans are full of good health and one reason why the vegan diet seems to have a protective effect against cancer. The good guys known as anthocyanins give the vibrant colours to plants such as blueberries and purple corn. These are strongly implicated in reducing the effects of cancer. From the GreenMedInfo article Do Blueberries Hold The Key To Defeating Cancer? Hell yeahs, all round I reckon. So, while we already knew about blueberries we now know we can get our anthocyanins from purple corn too! Even more hell yeahs and cries of plant power, please. Anthocyanins, purple corn and blueberries rock! I can get very excited about this sort of thing. However, there’s nothing too spectacular about it, cut out the crap, eat clean and you’re onto a winner. Especially if you get your anthocyanins and other plant powered good guys. So we should be eating lots of berries. And why not try some purple corn too! Anthocyanins – get em down ya! Previous PostCacao Liquor – shakes and pudsNext PostCastoreum: Is vanilla flavouring really vanilla? The vegan diet can cure cancer Cacao Liquor – shakes and puds Vegan GMO – what environmental benefits of GM crops? So what’s up with the Paleo diet? The whole premise is seriously flawed!